Andrew H. Reeder was an American lawyer and politician most known for his involvement in “Bleeding Kansas,” first as the federally appointed governor of Kansas Territory, then as a leading force in the Free-State movement. A native Pennsylvanian, Reeder was a “Douglas Democrat,” who supported the policies of the popular Illinois Senator Stephen A. Douglas, including the Kansas-Nebraska Act and its provisions for “popular sovereignty.” Though politically inexperienced when he first became territorial governor, Reeder’s rough-and-tumble turn in Kansas politics provided him with a whole lifetime of political experiences condensed into a few harrowing years. When Governor Reeder arrived in Kansas Territory in October 1854, he immediately encountered the most difficult and recurring administrative challenge facing the new territory: how to hold free and fair elections. Popular sovereignty demanded that those living in the territory determine how the land would be governed, including whether or not the institution of slavery would be expanded onto the Great Plains. Kansas thus became a fulcrum in the larger national slavery debate, attracting partisans from as far away as the Northeast and as close as neighboring Missouri. Both sides of the slavery debate recognized the significance of Kansas’s impending decision, and they were determined to influence the outcome. Governor Reeder had the unenviable task of determining not only who could vote in the upcoming elections, but also how to ensure that those voting rules were enforced. The November 29, 1854 territorial congressional delegate election was the first test of Reeder’s ability to implement elections, and its irregularities contained portents of events to come. Reeder issued a pre-election decree that enumerated several requirements for voter eligibility as a resident of Kansas, including the intent to live in the state permanently. On election day, the proslavery candidate, J.W. Whitfield, easily defeated John Wakefield, his Free-Soil opponent. The election was marred, however, by accusations of massive voter fraud, mostly consisting of proslavery Missouri residents who crossed the border and voted in violation of Reeder’s pre-election decree. A congressional investigation into the fraud allegations eventually found that, even if Reeder had voided the nearly 1,700 fraudulent proslavery votes, Whitfield still would have carried the election easily. Governor Reeder let the election results stand and established an unofficial precedent for Missouri border ruffians. Though contentious, Whitfield’s election as territorial delegate proved to be a mere precursor to the massive fraud that contaminated the election of the first Kansas territorial legislature in March 1855. Proslavery Missourians were concerned about the number of Northern, Free-Soil migrants who had settled in Kansas since the fall election, which led to even stronger efforts to cross the border and influence the election. The first legislature would get to establish the territory’s official position on slavery, an incentive that inspired electoral fraud and voter intimidation an order of magnitude beyond the actions that effected Whitfield’s election the prior fall. Inexplicably, Governor Reeder reused the same voter eligibility proclamation and voting mechanics for the legislative election in 1855, in spite of their obvious inability to ensure fair voting during the previous election. Border ruffians streamed into Kansas and bullied their way into the polls in stupefying numbers; there were 2,905 eligible voters according to the territorial census, but some 6,000 men voted in the election. This total was even more obviously fraudulent considering the large number of legal, Free-Soil Kansans who declined to cast their ballots because armed Missourians surrounded polling stations and intimidated antislavery voters. Governor Reeder tried to address the controversy by ordering special elections in six districts that had obviously been affected by electoral irregularities, but this gesture was insufficient to overturn the border ruffians’ voting fraud. Determined to move forward, Governor Reeder convened the new body of elected officials (the so-called “Bogus Legislature”) under a cloud of controversy at the distant outpost of Pawnee, Kansas, on July 2, 1855. There were two contentious issues surrounding the meeting: first, the Free-Soil legislators, some of whom had won their seats in Reeder’s corrective special elections, were quitting the legislature in protest or at the demand of their proslavery peers. These resignations continued to erode any semblance of legitimacy the legislature had by removing the pretense of representation for the territory’s Free-Soil constituents. Second, Governor Reeder’s decision to name Pawnee, located adjacent to Fort Riley, the territorial capital was both politically and logistically problematic. Pawnee was far-removed from the more populated regions of Kansas Territory in the east, and it was woefully underdeveloped. The lack of accommodations forced legislators to sleep in tents and hold official meetings outdoors. Reeder’s only discernible reason for naming Pawnee as the territorial capital was that he owned much of the land surrounding the upstart township . . .
Reeder’s only discernible reason for naming Pawnee as the territorial capital was that he owned much of the land surrounding the upstart township and would benefit financially from the area becoming the center of government. While land speculation was a common and lucrative political fringe benefit in 19th century America, Pawnee’s clear unsuitability as a capital drew intense scrutiny to Reeder’s abuse of power. The legislature voted to move the capital to the Shawnee Methodist Mission on the Missouri border. Reeder vetoed the move, but the legislature overrode his veto, and Pawnee served as Kansas’s territorial capital for a grand total of four days. Governor Reeder’s land speculation and abuse of authority were the official pretense given for his removal from office on August 15, 1855, though President Pierce could have just as easily dismissed Reeder for his inability to handle the territory’s elections. Reeder had a contentious 10-month term as territorial governor, but his political adventures in Kansas were far from over. Free-State supporters did not accept the legitimacy of the proslavery legislature, and instead held conventions, first at Big Springs and later at Topeka, with the aim of establishing a government that they argued would represent the actual residents of Kansas. Ex-Governor Reeder spearheaded the movement to create the opposition government, proposing a successful resolution to that effect at the Big Springs meeting on September 5, 1855, and attending the pivotal Free-State Topeka Constitutional Convention in October 1855. 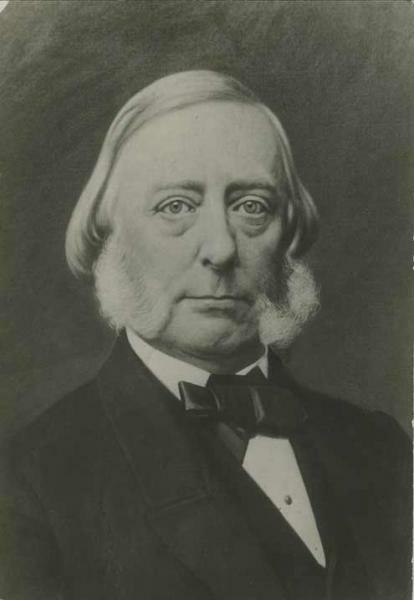 Reeder, as the Free-State supporter with the most Washington connections, was elected by Free-State voters to serve as the opposition government’s congressional delegate on October 8, 1855. The convention also provisionally selected Reeder and James Lane to become Kansas’ first senators if the territory entered the Union under the terms of the Topeka Constitution. Andrew Reeder, the congressional delegate and Free-State senator-in-waiting, served until May 1856, when word reached the Free-State government that a proslavery territorial court was going to indict Reeder, Charles Robinson, and others for treason. Traveling in disguise, at night, and using safe houses, Reeder was able to make it to relative safety in Kansas City, where he remained until the Sacking of Lawrence on May 21. Fearing for his life, Reeder travelled in disguise to Jefferson City, Missouri, and then on to Alton, Illinois. His compatriot, Charles Robinson, followed a similar path of escape but was captured in Lexington, Missouri, and spent the next four months imprisoned at Lecompton, Kansas, before being released and later acquitted of treason. Once free of Missouri, Reeder went on to fundraise for the Free-State cause, giving speeches extolling their virtues and denouncing the evils of the proslavery Lecompton government.